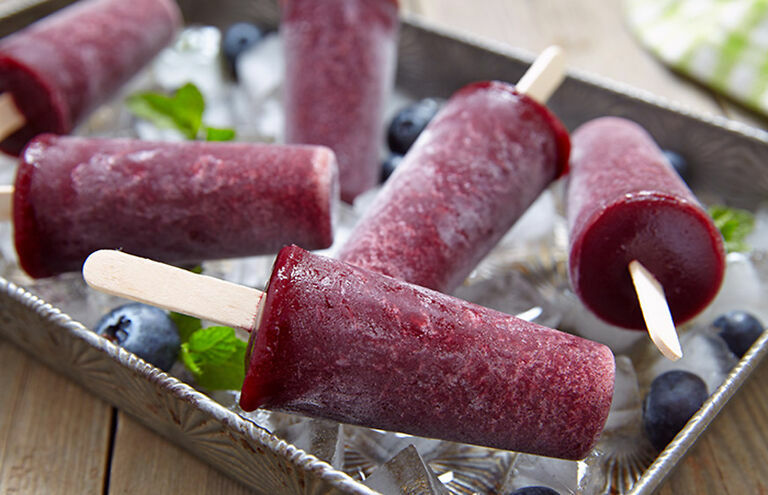 Acai Ice Pops are a refreshing naturally sweetened guilt free treat. The Açaí (ah-sigh-EE) berry is the fruit of the Açaí palm tree. It is naturally low in sugar so you can add all the sweetness you would like with honey (or agave for our vegan friends out there), fresh fruit and berries. Acai is also a great source of fiber, heart-healthy fats, and antioxidants – so eat up! There are so many different combinations of ingredients you can use to make your acai pops, the options are unlimited. Here is a basic recipe to start with. Acai is easy to find, easy to buy, and easy to keep: it comes in powder or frozen packs. Add coconut water, nut milk or juice along with your favorite veggies and fruits. Blend until it is the consistency of soft serve ice cream. Enjoy at your next BBQ or on a sunny afternoon.